Our newest item at Sweets For Weddings is our 4ft white led love letters. They are such a wow factor for your wedding. 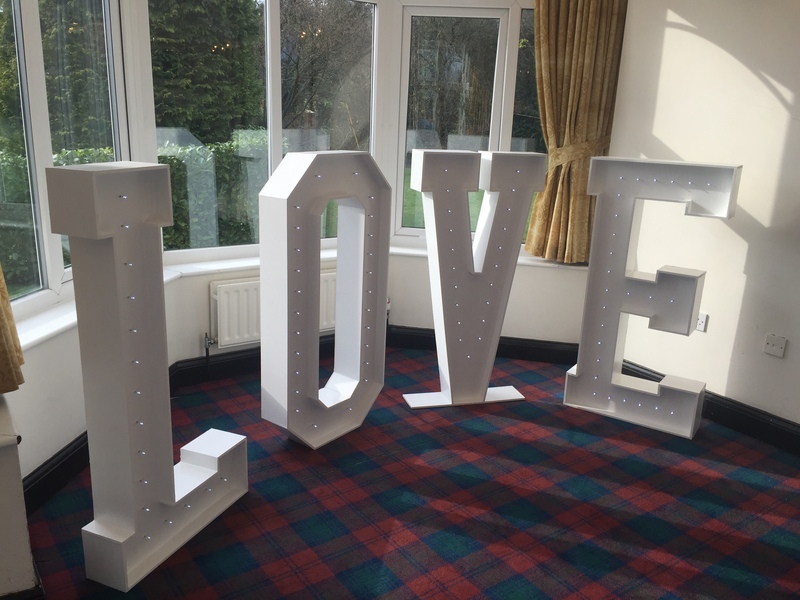 These love letters have been bespokely made for us so there are no wires giving you the flexibility to lift them to capture some great photos, this also means if your wedding breakfast and evening reception are in different rooms they can easily be moved.